Don't forget to eat your Pi! A new Sunday Brunch menu has been unveiled at Cantina Laredo. The modern Mexican restaurant is now offering a spicy Bloody Mary, which pairs well with the Huevos Divorciados- eggs on a corn pancake with two savory sauces. If you’re in the mood for sweet eats, try the Tostar De Frances- French toast with blueberries, strawberries, and Mexican Brandy Butter. Black Oak Grill has shaken up your Friday Fish fry! 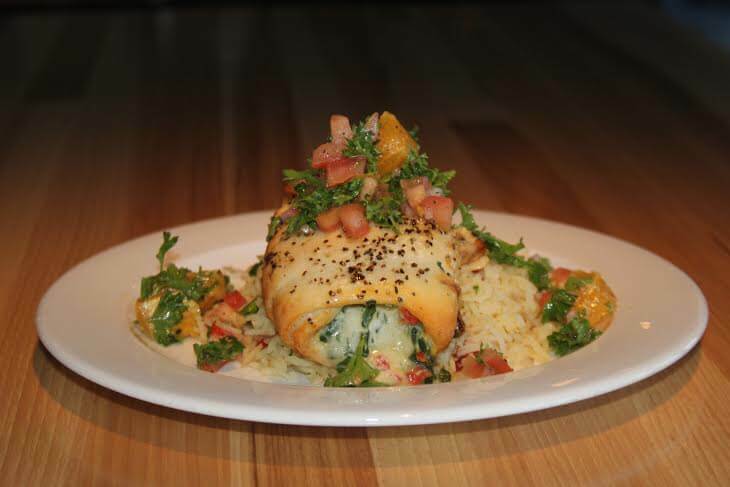 Head to the Midtown Crossing eatery to try the cajun style blackened mahi mahi, or the spinach and goat cheese wrapped sole. Abstaining never tasted so fresh! Not in the mood for seafood? Try any of their specialty dishes, including a hearty grilled meatloaf and the Black Oak Punch. This Friday and Saturday, Ploughshare Brewing is hosting the first annual Cask Ale Festival. Taste stouts, lagers, and cask ales from more than 20 local and regional breweries. Tickets are $25 in advance and $30 day of the event and proceeds will benefit The Nebraska Craft Brewers Guild. We are approaching a once-in-a-lifetime date and the ultimate excuse to eat pie. 3/14/15 at 9:26:53 is the highest number of pi one can fit into a single date. I plan to celebrate by hitting Great Harvest Bread first thing in the morning for a Cherry, Peach, Apple, or Mixed Berry-Sour Cream pielette. In the afternoon, I’ll head over to Pie Five’s new location at 1303 S 72nd for a pizza pie of my own construction, and find myself at Mimi’s in Village Pointe for a Chicken Pot Pie. How do you plan to celebrate Ultimate Pie Day?? Email Crumbs@TheReader.Com to share your ideas and photos!